The unique dishes that Canada has created for the world includes an intriguing mix of sweet and savory food. Although it’s also the country that eats the most Kraft Macaroni and Cheese dinners every week, there are many signature Canadian dishes; here are 10 of the best and the top places to try them. Known as Canada’s national dish, poutine is a French-Canadian meal featuring three ingredients: fries, cheese curds, and gravy. Created in the 1950s in Quebec, the dish can be found everywhere today. Many eateries even serve their traditional poutine with additional flavors, such as butter chicken or pulled pork. Because it was created in Quebec, eating poutine in this province is as authentic as you can get. 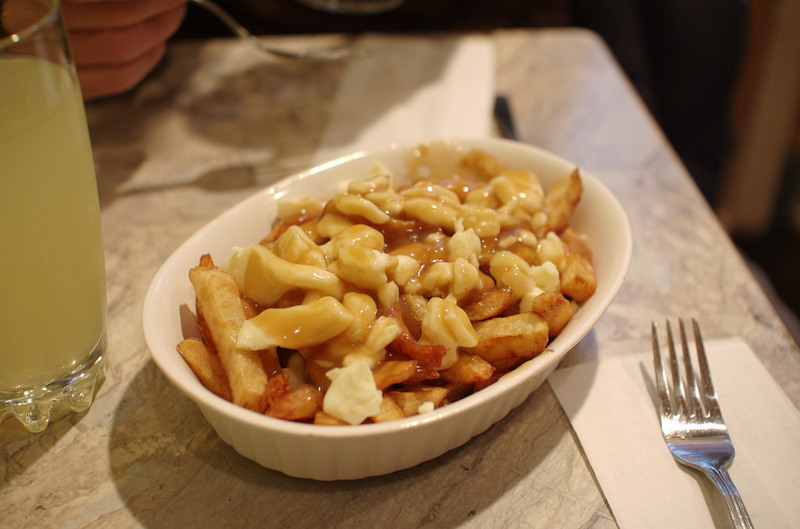 La Banquise is a 24-hour restaurant specializing in poutine, with over 30 different flavors on the menu. The Nanaimo bar originated in Nanaimo, which is on Vancouver Island in British Columbia. It’s a sweet no-bake treat consisting of three layers. There’s a wafer crumb base, a center of custard-flavored butter icing, and a chocolate top layer. Although Canada is its birthplace, people can find Nanaimo bars across the world, including in Australia, Spain, and Laos. Labeled as “a corner of Paris in Nanaimo,” locals and visitors alike love the Nanaimo bars served at Mon Petit Choux. If one isn’t enough, Tourism Nanaimo has created a Nanaimo Bar Trail. Follow the map and find your favorite one in Nanaimo. 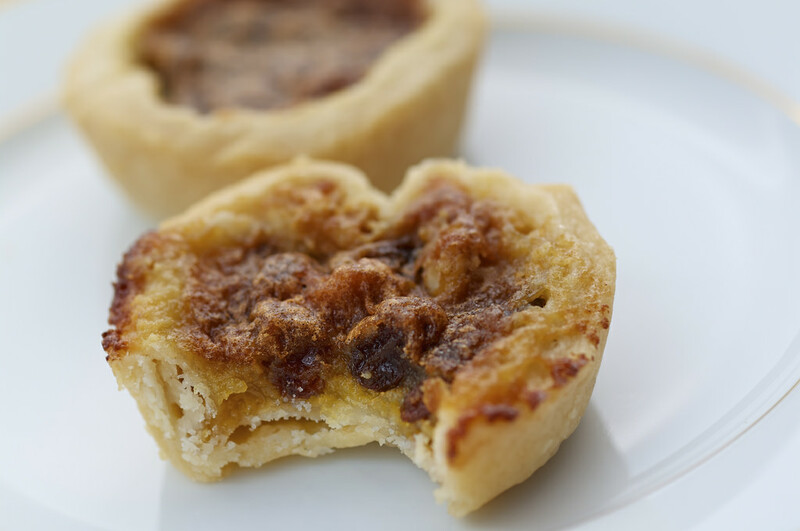 Butter tarts are small pastries consisting of butter, sugar, syrup, and egg filling. The filling goes on top of flaky pastry, and once baked, the tart’s filling will be crunchy on top and mostly solid. The tarts are quintessentially Canadian, but their origin is hazy. Some believe the history can be traced back to the 1600s, while others think the tarts resemble America’s pecan pies and Quebec’s sugar pies. Securing first place for the best butter tart at Ontario’s Best Butter Tart Festival, The Maid’s Cottage is obviously the top place to try an authentic butter tart. A family-owned business, stop by to try their secret recipe. BeaverTails are deep-fried dough pastries, flattened to resemble a beaver’s tail, and topped with a myriad of flavors. The classic toppings include cinnamon and sugar or chocolate hazelnut spread. They were created in 1978 by a husband and wife in Ottawa, with the recipe passed down through the husband’s family. Their chain of stores, also called BeaverTails, now stretches across Canada. BeaverTails ByWard Market is the store’s flagship location, and where former President Barack Obama sampled the delicacy during his first visit to Canada in 2009. Montreal smoked meat is created by salting and curing beef brisket. 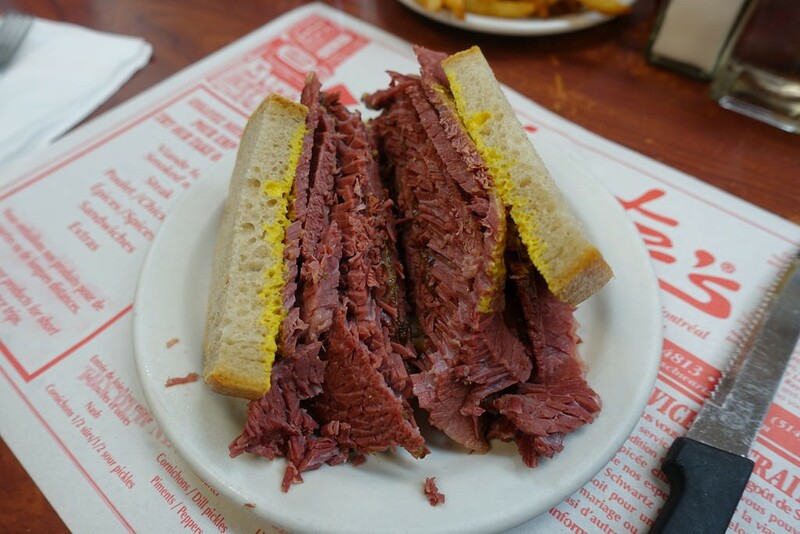 The difference between Montreal’s smoked meat and New York’s pastrami, for example, is found in the cured seasoning. Montreal delis use more cracked peppercorns and less sugar. The smoked meat is served on rye bread with yellow mustard. The meat should be stacked about two inches high. Although Schwartz’s Deli is the most popular, with lines stretching around the block, locals suggest trying Reuben’s Deli instead. The late-night casual restaurant has a variety of smoked meat sandwiches on the menu, including the Big Bang Sandwich and its one pound of smoked meat. Customers can also build their own sandwich if they want to stray from the traditional. A traditional French-Canadian dish from the 1600s, a tourtière is a meat pie traditionally served around Christmas Eve and New Year’s Eve. It’s made from ground meat, with flaky pastry on the top and bottom. The signature tourtière spices are cinnamon, allspice, and clove. It can usually be found in many Canadian grocery stores year-round. To try an authentic tourtière, it’s best to sample the dish in Quebec, its province of origin. This Quebec City restaurant is known for its traditional French-Canadian cuisine menu. The restaurant also has a $20 fixed-price lunch menu, which allows you to sample tourtière and more for a reasonable price. 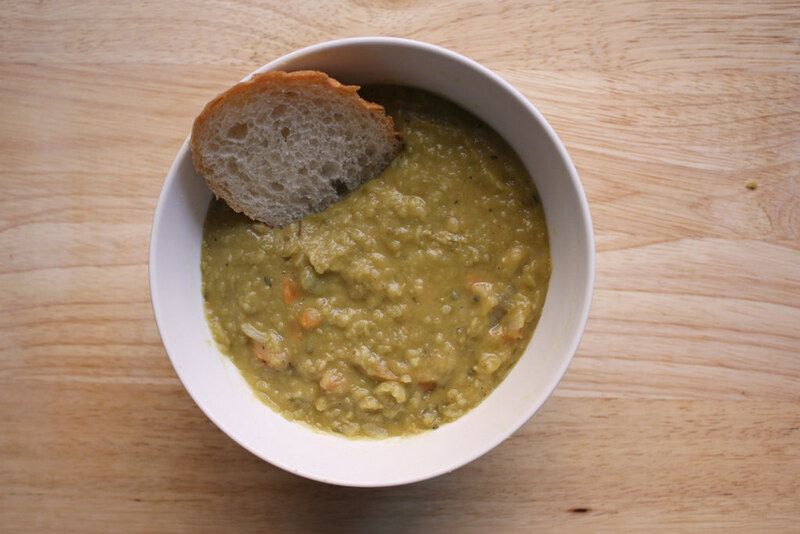 Another dish people can thank French-Canadians for is split pea soup, a winter specialty in Canada. The most authentic version includes whole yellow peas, salted pork, and herbs. Newfoundland Pea Soup is another variation, which usually has more vegetables — such as turnips and carrots — and is topped with doughboys, or small dumplings. This Newfoundland café says that “pea soup and dumplings have been a tradition for us Newfoundlanders on Saturdays,” so they keep with tradition and only serve the soup on Saturdays. It’s also located right by the sea, with the dining room over the water. A variation of the original doner kebab, which is of Turkish and Greek origin, the donair was introduced to Halifax in Nova Scotia in the early 1970s. The Halifax donair is characterized by its use of beef instead of lamb and its sweet sauce, made from sugar, garlic, condensed milk, and vinegar. In 2015, Halifax named the donair the city’s official food. King of Donair was the first place to serve donairs in Canada when it opened in 1973. Together with traditional donairs, they also serve donair subs, egg rolls, panzarotti, poutine, and pizza. Just about every donair combination you can think of! Saskatoon berries, also referred to as just Saskatoons, are purplish-blue berries that resemble blueberries. However, they’re closely related to the apple family and have a sweet, nutty almond flavor. The berries usually ripen in late June or early July. They are grown throughout Canada, but particularly in the Prairies and British Columbia. Obviously, they taste best when baked in a pie. Bon Ton Bakery may not be in Saskatchewan, but they bake a highly sought-after Saskatoon Berry Pie every year. 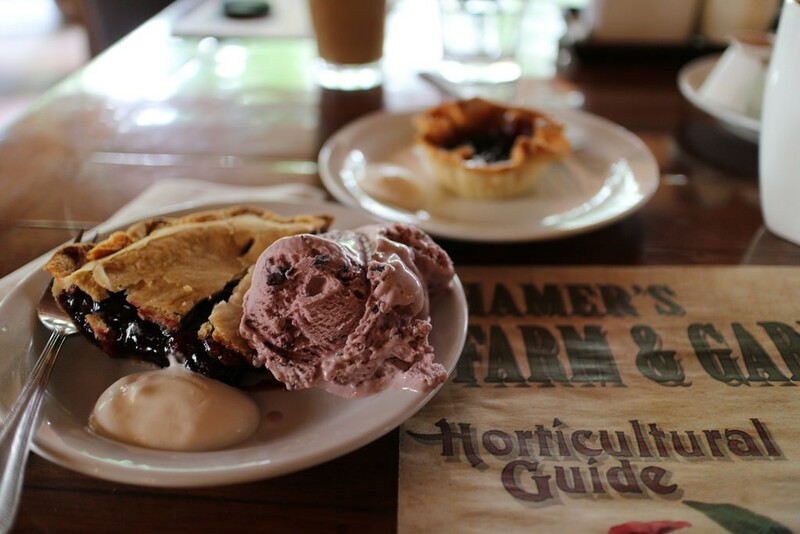 The Edmonton bakery packs their pies full of wild Saskatoons, which means they’re only available seasonally, from August to October. The buttery crust and berry filling is worth the wait. Complement your slice of pie with a scoop of ice cream too. Montreal-style bagels vary greatly from the traditional New York bagel. Firstly, they’re always cooked in a wood-fired oven. Secondly, they’re smaller, thinner, and sweeter, as they’re boiled in honey-sweetened water prior to baking. The Montreal bagel has a larger hole, and there are two common toppings: poppy or sesame seeds. One of Montreal’s most popular bagel stops, St-Viateur has been baking the city’s best bagels since 1957. Made with 100% natural ingredients, they say their bagels “are the ones your grandparents enjoyed, made with ingredients your children can read.” Flavors include cinnamon and raisin, flax, rosemary and sea salt, and all-dressed.